» PC Reviews » SkyTech Shadow Gaming Computer Review, Is It Good Enough? « Is Overwatch Destined For eSports? SkyTech Shadow Gaming Computer Review, Is It Good Enough? It’s time to review the Skytech Shadow gaming computer since it’s one of the top 100 sold PCs on Amazon. Is it really good enough for what you pay? People that are new to the world of PC gaming never really look at or even know what to look at when trying to see whether or not a PC is worth picking up. Most of the time, the hardware inside doesn’t match up for what you pay for. Is The Processing Power There? To start off, I’d like to point out the CPU that comes with this PC. 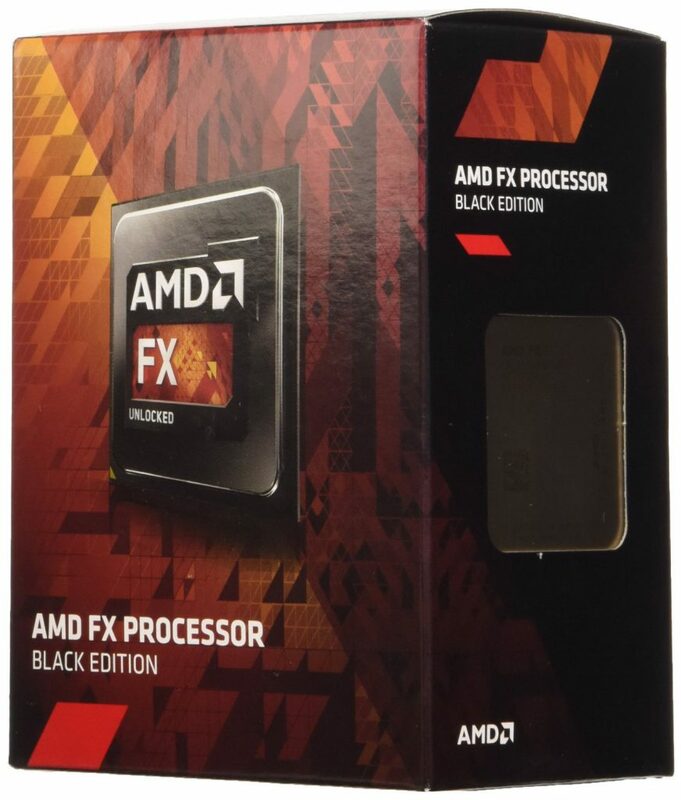 It’s the AMD FX-4300 – an unlocked, middle-class quad core processor. The FX-4300 isn’t the most horrible CPU around… but there are definitely better choices! Doesn’t that say something? With a little over $400 you could essentially have the same exact performance – saving you over $100. Unless having the operating system, a wireless network adapter and the building process done for you is worth the extra load of cash then I’d say that you should definitely look into building your own. Although I do understand that some people just simply don’t want to build their own PC, which is fine, but the process is actually a lot simpler than you think and it’s really fun to learn how! 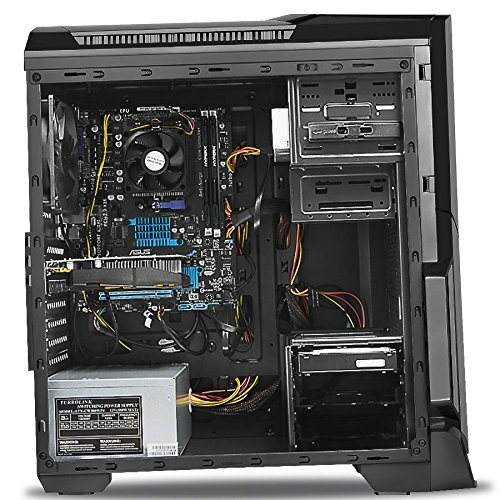 If you follow the right video guide then you can be well on your way to having the knowledge of putting together your very own PC. With that though, I do have to say that there are plenty of pre-built gaming PCs on the market right now for about the same price that perform worse than what this PC could deliver. Don’t be expecting to play on higher graphical settings (which really is a big point of getting a gaming PC anyway) but if you’re looking to play most games on a tweaked medium setting then maybe this would be the ideal PC for you, as long as you don’t want to learn how to build your own. Really, if you’re dead set on getting this PC, you’re going to need some upgrades if you’re wanting to run future games and the higher demanding games of today. If you upgraded the CPU to the FX-8350 and the graphics card to something like a 4GB GTX 960 then you’d be set for being able to run higher demanding games, even some VR if you wanted to! But wouldn’t it make more sense to just build your own if you have to have upgrades for the future anyway? After the upgrades you’d be spending over $350 more just to be able to get the best experience that PC gaming has to offer. If you need those upgrades then it makes total sense to get the best bang for your buck and to build your own, even on a $500 budget you’d have a better gaming PC. Now on to the graphics card. It’s actually really not that bad – it’s a 2GB GTX 750 TI. Although not the most ideal card on this type of budget point, it still delivers decent performance. It’s the ideal card to have on a tight budget. This card is capable of playing GTA V, Rocket League or even Overwatch. You wouldn’t be playing on the highest settings so the game wouldn’t look as good as it could but titles such as those would still definitely be playable. Basically, don’t expect high frame rates on higher graphics settings. There are plenty of YouTube videos that show gameplay footage of what the GTX 750 TI is capable of, there are even some videos that show it paired with the FX-4300. The performance overall really isn’t too bad making this pre-built PC stand out when comparing to the others on the market but I still stand on the fact that building one would not only be cheaper but it’d also be better for the long haul. You can build your own PC with a $400 budget and have identical performance levels across the board. That’s why I cater towards people building their own – you get the most bang for your buck that way! Click Here For My $400 PC Build Guide! It makes more sense to spend $400 on a PC to put together yourself and gradually adding upgrades to it to help the overall cost. But to some, it also makes sense to have the PC pre-built for them and adding the upgrades down the road because they simply don’t want to build one. I’ll never truly understand why someone wouldn’t want to learn how to build their own computer, especially since it’s a lot easier than most would imagine, it really comes down to what you really want to do to get into the PC gaming industry! All of the other bells and whistles that the PC comes with is the plus side to it. It supposedly comes with a USB wireless network adapter, it comes with Windows 10 pre-installed, a 1TB hard drive, 8GB of RAM and a keyboard/mouse combo. It coming with Windows 10 pre-installed and a free keyboard/mouse combo might sound like it justifies getting this over a build of your own… but in my opinion, it really doesn’t. The keyboard and mouse that comes with is very generic. The mouse isn’t made for gaming really, there is no software that comes with that allows you to change DPI settings or anything like that. Although a keyboard really doesn’t matter, it’s still a generic one and for me I’d want a cool looking keyboard since the case looks awesome! This pre-built PC is hard to really “review” because there are the same amount of bad things as there are good things. For the most part, pre-built PCs aren’t worth it and although I basically don’t think this PC is worth the money, it may be worth it to others. Should You Build Your Own? It’s an absolute fact that building your own PC would yield to better performance results for a lower price point. Even when looking at adding in an operating system, a keyboard and a mouse. Sure, if you went with the highest quality parts then you might end up spending more than how much this specific PC is but at least you’d be able to know that your build has longevity and that you got 100% of your money’s worth. The Amazon reviews don’t lie – this PC will be able to handle most games and I suppose that it’s a go to sort of thing for those that are too afraid to build one of their own. Even though hardware upgrades down the road are inevitable – the same steps in building your own anyway. 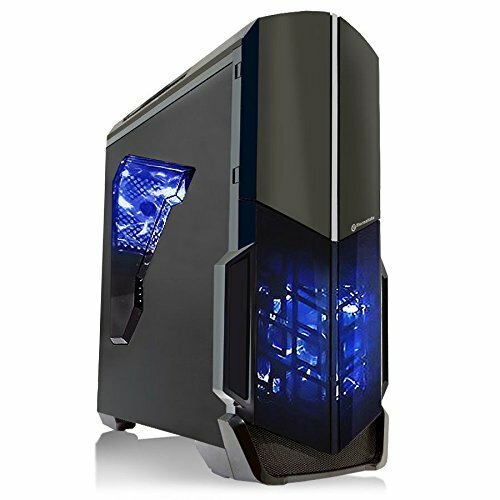 Be sure to read some of the reviews on the page for this PC and see what others are saying about it as well. You won’t be getting the absolute best performance that a $500 build would be able to provide but it is still going to have a decent level of performance. So, are you going to be picking up the Skytech Shadow? Or are you set on building your own to get all of your money’s worth? Tagged gaming computer, pre built gaming pc, skytech. Bookmark the permalink. 4 Responses to SkyTech Shadow Gaming Computer Review, Is It Good Enough? No offense but I came here to review not for you to suggest me to build my own. Ill upgrade a computer but each time I get told to build my own I get bad memories but good review. Other reviews that I’ve done for pre-built PCs make more sense and I don’t really mention as much of doing a build of your own but with this build, especially with all of the new hardware that’s out today, it makes total sense to do a build of your own. It’d be cheaper and more powerful yet. If you want to see a pre-built that actually succeeds in being a capable PC then I’d suggest checking out my review of a specific CyberPowerPC build. You can read it right here – it’s definitely worth the money! Definitely better specs in comparison to the version I’ve reviewed here Stephen but the cost to performance is still not entirely there. I’d recommend going with a $800 PC build instead since you’d be spending around the same amount yet getting a lot more power per dollar spent!